With new small businesses proliferating-on the Web, in the home, or wherever-tax return preparers frequently have to grapple with the issue of business start-up expenses. The rules for deducting ordinary and necessary business expenses do not apply to start-costs. The costs generally must be capitalized and recovered when the business is disposed of. However, the tax law contains a Special Tax Election. A client may elect to amortize the start-up costs over a period of at least 60 months, beginning when the business starts active operation. Travel and related expenses incurred in the course of finding potential distributors, suppliers and customers. 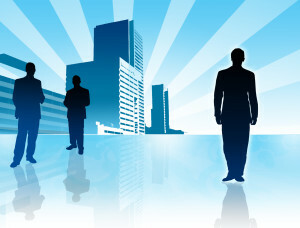 Salaries and fees paid to executives and consultants, as well as for professional services. WHEN DOES A BUSINESS “START”? Since start-up costs include only expenses incurred prior to the start of an active business and can only be amortized once a business starts, the exact starting point for a business becomes an important issue. The IRS says a business “starts” when the business has begun to function as a going concern and to perform those activities to which it was organized. To put it another way, the staring point is when the taxpayer is first allowed to deduct ordinary and necessary expenses under Section 162 because the taxpayer is “in a trade or business.” For example, a corporation’s employees worked full time developing a product and doing market research. A firm decision was made to market the product and considerable expenses were incurred. The IRS ruled that the business did not start until marketing the product had actually begun. In another example, an S corporation was organized to rent devices that monitored oil well pressure. The corporation hired other companies to develop the devices. The Tax Court ruled that the corporation had not started business in the tax year at issue because none of the devices had been assembled yet. WHO CAN ELECT THE 60-MONTH AMORTIZATION? Your client can choose to amortize the start-up costs over any period he or she chooses as long as it is at least 60 months. Once the period is selected, it cannot be changed. To calculate the deduction, divide the total start-up costs by the months in the amortization period. The result is the amount that can be deducted for each month. For example, if a business starts on July 1, 2000, and a 60-month period is selected, then 10% of the costs can be deducted in 2000, 20% in each year of 2001-2004, and 10% in 2005. To elect the 60-month amortization, you must fill out Part VI of Form 4562 and attach it as an accompanying statement to your clients return. The election must be made on the return for the first tax year your client is in business. However, if your client timely files a return for the year without making the election, he or she can still make the choice by filing an amended return within 6 months of the return’s due date (not counting extensions). The statement that accompanies Form 4562 must contain a description of the business to which the start-up costs relate, a description of each start-up cost incurred, the month the active business began, and the number of months in amortization period. Making an early decision – Because your client cannot elect the 60-month amortization after the first year of business – and there may be doubt when the business starts – the tax law does not permit an early election. Your client can elect to amortize expenses by filing a statement with a return for any taxable year before the year the active business begins. If your client fails the statement early, the election becomes effective in the month of the tax year the active business begins. Your client can be subsequently file a revised statement to include any start-up costs not included in the original statement.